I’ve been a little obsessed with cooking flowers these days (in case you hadn’t noticed). I even am having a pop-up dinner in 2 weeks around the theme of edible flowers! 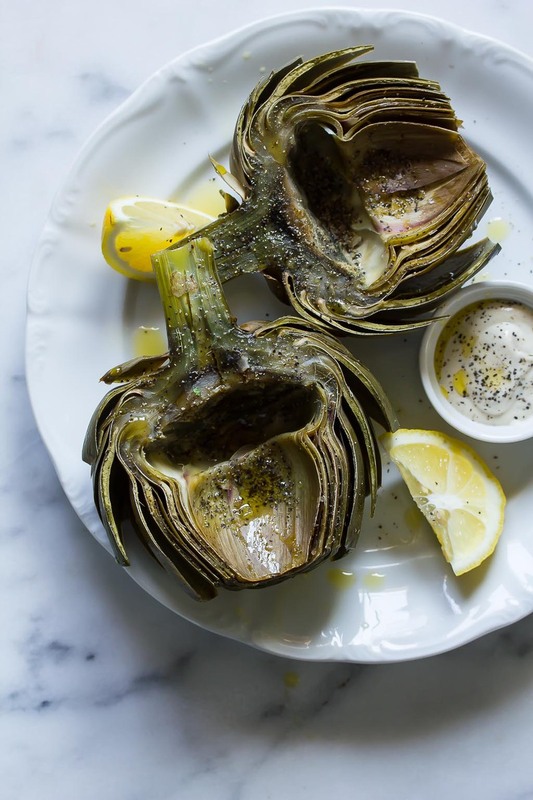 So how surprised was I to discover that artichokes were actually flowers?? The answer is very! I guess I never thought about it. Now of course I see them everywhere, blooming. That might be a Southern California thing, but it’s also true that I just never made the connection before, so I was kind of oblivious. 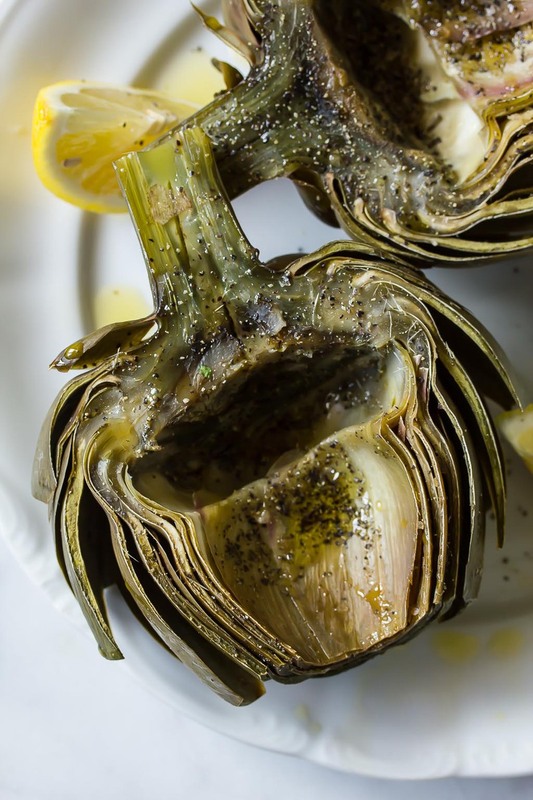 My favorite thing about eating whole artichoke is how messy, hands on and communal it is. It’s a lot of work for little food, but I love every minute of it! And then the minute when you get to the heart after scraping all those tough outer leaves with your teeth. Magic! My favorite (right now) is boiling, mostly because you really get a beautiful, creamy texture all the way through, the leaves don’t get tough and dried out, and the you’re more assured that it’s cooked all the way through. The garlic & black pepper aioli is perfect for dipping as a replacement for butter. 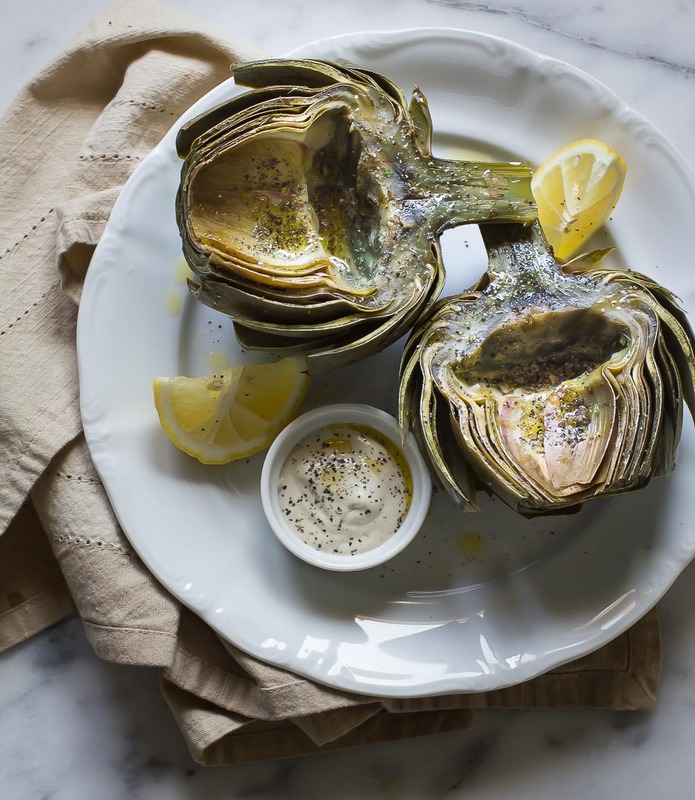 How do you like your artichoke? Trim the artichoke stem to 1" in length. Trim 1" off the top of the artichoke with a knife.